Press Release | AEM, Inc.
SAN DIEGO, California, December 21, 2017 - AEM, Inc. announces that it has become certified to the requirements of AS9100D including those of ISO 9001:2015. "We are very pleased of this accomplishment," said AEM's General Manager and Director of Quality, Jeff Montgomery. "It is a reflection of AEM's commitment to quality and continuous improvement related to meeting and exceeding our customer's requirements, needs, and expectations. AEM will continue to be committed to improvement in every aspect of quality and service to our customers." Boeing annually recognizes suppliers through performance excellence awards for achieving silver or gold composite levels by obtaining superior quality and delivery performance; these metrics are accumulated over a twelve month period. SAN DIEGO, Calif.— May 15, 2017—AEM, Inc. announces that it is a recipient of the 2016 Boeing Gold Performance Excellence Award. AEM maintained a Gold composite performance rating for quality and delivery for the twelve month period from October 1, 2015 to September 20, 2016. AEM’s MIL-STD-790 and AS9100 certified facilities have and will continue to provide Boeing with unique component solutions to meet mission critical program needs. AEM, Inc. is a high reliability component solutions provider that continues to set the standard for quality, value and performance. AEM provides solutions and services to aerospace, defense and other "Hi-Rel" industries that require the highest quality level for circuit protection, EMI signal filtering, and Sn/Pb conversion applications as well as niche passive and active electronic components. Raytheon's Integrated Defense Systems (IDS) business unit instituted the annual Supplier Excellence Awards program to recognize suppliers who have provided outstanding service and partnership in exceeding customer requirements. Award candidates are judged on certain criteria, including overall quality, on-time delivery and demonstrated commitment to continuous improvement. SAN DIEGO, Calif. - May 15, 2017 - AEM, Inc. announced that it is a recipient of a 4-Star Supplier Excellence Award for 2016 by Raytheon's Integrated Defense Systems (IDS) business. AEM, Inc. has achieved both 3-Star and 4-Star status over the past several years related to the increasing level of demand for AEM's tin whisker mitigation process (Sn/Pb conversion) to help ensure the highest reliability for mission critical programs. "We are honored to be recognized by Raytheon and believe this is a reflection of AEM's dedication to customer service, delivery, and product quality," said AEM's General Manager, Jeff Montgomery. AEM's ability to maintain a superior performance rating is essential to ensuring risk to any of Raytheon's programs is minimized. AEM Inc.'s MIL-STD-790 and AS9100 certified facility will continue to provide Raytheon with unique component solutions to meet their mission critical program needs. Howard Ingleson Joins AEM, Inc.
SAN DIEGO, Calif.— March 1, 2017—AEM, Inc., announces that Howard Ingleson, an experienced leader in electronic components, has been appointed as European Sales Manager. Howard has extensive experience in sales, quality, and executive roles in the global manufacture and sale of electronic components. Howard will be focused on various growth initiatives in support of developing AEM’s business in Europe and the Middle East. With an outstanding reputation and more than 30 years of experience, Howard brings a wealth of expertise to AEM, Inc. We look forward to Howard contributing to the success of AEM, Inc.
Howard commented, "With an unrivalled heritage in the high reliability fuse market, new unique ferrite products rapidly gaining market share, recent inclusion in the latest version of ESA's EPPL and a vast array of up screened components, it is an exciting time to join one of the industry’s leading organizations." AEM, Inc. is a high reliability component solutions provider that continues to set the standard for quality, value and performance. AEM provides manufactured solutions and services to aerospace, defense and other "Hi-Rel" industries that require the highest quality level for circuit protection, EMI signal filtering, and Sn/Pb conversion applications. 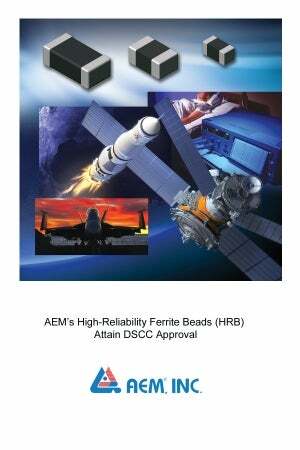 SAN DIEGO, Calif.— September 15, 2016—AEM, Inc., announces the HRB-US Series of high-reliability ferrite beads that meet the stringent requirements of the Defense Supply Center Columbus (DSCC) specification 03024. AEM is the only ferrite chip manufacturer whose parts are approved by the Defense Logistics Agency (DLA) to the DSCC 03024 specification. The innovative HRB-US process up-screens commercially available parts utilizing AEM’s proprietary techniques to selectively certify additional ferrite beads to the DSCC standard. The HRB-US Series provides an effective means to meet the growing demand of high-reliability applications. AEM’s HRB-US Series components begin as full reel ferrite bead lots acquired through OEM approved distribution channels and are traceable to selected manufactures of commercial devices. The devices pass through pre- and post-screening processes while undergoing AEM’s proprietary Tin-Lead conversion. The devices are then subjected to DSCC 03024 Group A, B and C testing. Finally, the parts are assigned a new HRB-US part number and are tape and reel packaged with an AEM lot number and date code. SAN DIEGO, Calif. - August 26, 2016 - AEM, Inc. announced that it is a recipient of a 4-Star Supplier Excellence Award for 2015 by Raytheon's Integrated Defense Systems (IDS) business. AEM, Inc. has achieved both 3-Star and 4-Star status over the past four years related to the increasing level of demand for AEMâ's tin-lead conversion process to ensure the highest level of reliability for Raytheon's critical program requirements. "We are honored once again to be recognized by Raytheon and believe this is a reflection of AEM's dedication to Raytheon's delivery and quality expectations," said AEM's General Manager, Jeff Montgomery. AEM continues to qualify new components for tin-lead conversion in order to meet Raytheon's increasing mission needs. AEM Inc.'s MIL-STD-790 and AS9100 certified facility will continue to provide Raytheon with unique component solutions as a supply chain partner. SAN DIEGO, Calif., - AEM, Inc. is pleased to announce the editors of Manufacturing Today have selected AEM for inclusion in the May/June 2016 issue to promote the upcoming Space Technology Expo in Pasadena, CA. AEM contributed an an article entitled, "Mission Critical, AEM, Inc.'s Electronic Component Technologies are Leading High-Reliability Markets." "Electronic components are our key core competency, and we have a long heritage in the space sector for more than 30 years in manned and unmanned space flight," said AEM's Marketing Director, Scott Sentz. "Our tin/lead conversion process is helping our customers to reliably prepare chip-scale passive components, including capacitors, inductors, resistors, ferrite chip beads, fuses, resistor arrays, capacitor arrays, bead arrays and many molded body passive and active surface-mount component types for use in mission-critical and life-sustaining applications. Fuse development and ferrite chip expansion along with the tin/lead conversion and up-screening capabilities will take AEM well into the next decade with our end markets." Sentz goes on to say, "Expanding into underwater applications will also open a unique market for communication and exploration, one that will be exciting because it is new and undefined just like space once was and continues to be." 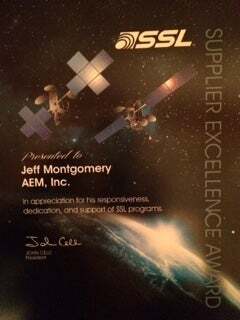 SAN DIEGO, Calif.— September 19, 2015—AEM, Inc. announces that it is a recipient of the Supplier Trust and Recognition Award for 2015 by the Jet Propulsion Laboratory (NASA). AEM Inc.’s MIL-STD-790 and AS9100 certified facility will continue to provide JPL with unique component solutions to meet their mission critical program needs. "We are very pleased to be part of the Space Systems Loral team and to be recognized by this prestigious award," said AEM's General Manager, Jeff Montgomery. "AEM will continue to strive to supply the highest quality and reliability components for Space Systems Loral programs while partnering to design non-standard flight hardware solutions that meets and exceeds performance expectations." AEM Inc.’s MIL-STD-790 and AS9100 certified facility will continue to provide SSL with unique component solutions to meet their mission critical program needs. Raytheon’s Integrated Defense Systems (IDS) business unit instituted the annual Supplier Excellence Awards program to recognize suppliers who have provided outstanding service and partnership in exceeding customer requirements. Award candidates are judged on certain criteria, including overall quality, on-time delivery and demonstrated commitment to continuous improvement. 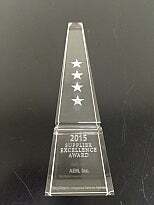 SAN DIEGO, Calif.— July 1, 2015—AEM, Inc. announces that it is a recipient of the 4-Star Supplier Excellence Award for 2014 by Raytheon’s Integrated Defense Systems (IDS) business. AEM, Inc. has achieved both 3-Star and 4-Star status over the past four years and is dedicated to supplying the highest reliability components for Raytheon’s critical programs. AEM Inc.’s MIL-STD-790 and AS9100 certified facility will continue to provide Raytheon with unique component solutions to meet their mission critical program needs. SAN DIEGO, Calif. July 01, 2015 - AEM, Inc. announces that it is a recipient of a 2014 Boeing Silver Performance Excellence Award. AEM maintained a Gold composite performance rating for quality and delivery for the twelve month period from October 1, 2013 to September 30, 2014. AEM's Director of Marketing, Scott Sentz, commented "AEM strives to continually support Boeing programs with the highest quality components. 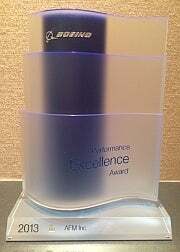 To receive this Boeing Performance Excellence Award is a great recognition and acknowledges the dedication and commitment of the AEM employees that provide components and component services to the Boeing Company. We look forward to the future and our continued role as a Boeing supplier." AEM Inc.'s MIL-STD-790 and AS9100 certified facility will continue to provide Boeing with unique component solutions to meet their mission critical program needs. 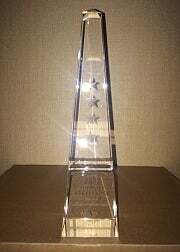 SAN DIEGO, Calif.— July 1, 2014—AEM, Inc. announces that it is a recipient of the 4-Star Supplier Excellence Award for 2013 by Raytheon’s Integrated Defense Systems (IDS) business. AEM, Inc. has achieved both 3-Star and 4-Star status over the past three years and is committed to supplying the highest reliability components for Raytheon’s critical programs. SAN DIEGO, Calif.— July 1, 2013—AEM, Inc. announces that it is a recipient of the 2013 Boeing Silver Performance Excellence Award. AEM maintained a Silver composite performance rating for quality and delivery for the twelve month period from October 1, 2012 to September 20, 2013. SAN DIEGO, Calif. June 17, 2013 - AEM, Inc. announces that it is a recipient of a 2012 Boeing Gold Performance Excellence Award. AEM maintained a Gold composite performance rating for quality and delivery for the twelve month period from October 1, 2011 to September 30, 2012. 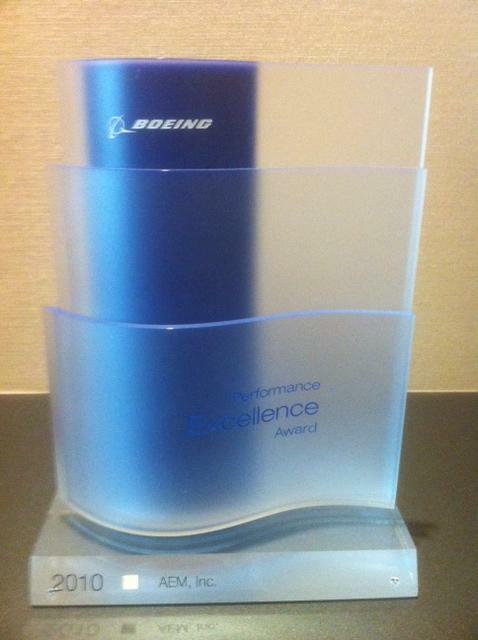 This year, Boeing recognized 594 supplies who achieved either a Gold or Silver level Boeing Performance Excellence Award. AEM is one of only 153 suppliers to receive the Gold level of recognition achieving this status for four consecutive years. AEM's General Manager, Jeff Montgomery, commented "AEM strives to continually support Boeing programs with the highest quality components. 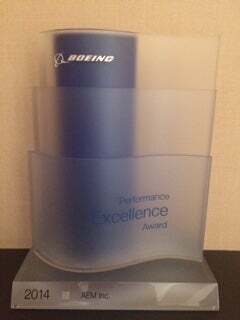 To receive this Boeing Performance Excellence Award is a great honor and is a tribute to the dedication and commitment of the AEM employees that provide components and component services to the Boeing Company. We look forward to the future and our continued role as a Boeing supplier." SAN DIEGO, Calif. - June 4, 2013 - AEM, Inc. announced that it is a recipient of a 3-Star Supplier Excellence Award for 2012 by Raytheon's Integrated Defense Systems (IDS) business. AEM, Inc. has achieved both 3-Star and 4-Star status over the past two years related to the increasing level of demand for AEMâs tin whisker mitigation process (Sn/Pb conversion) to help ensure the highest reliability for mission critical programs. 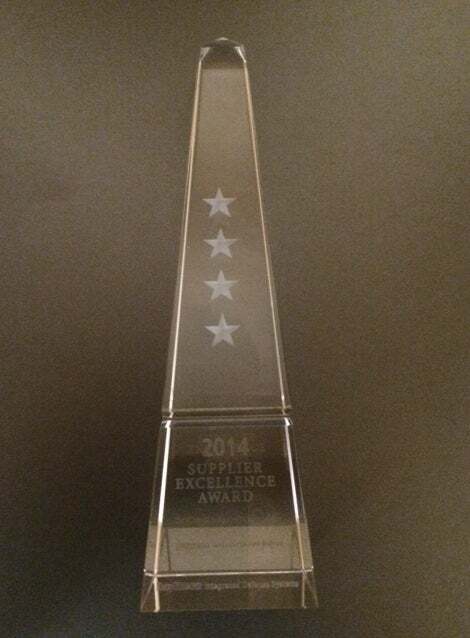 AEM was one of 54 companies recognized by Raytheon IDS for 3-Star honors. "We are honored to be recognized by Raytheon and believe this is a reflection of AEM's dedication to customer focus and product quality," said AEM's General Manager, Jeff Montgomery. AEM's ability to maintain a superior performance rating is essential to delivering a first-class customer experience. AEM Inc.'s MIL-STD-790 and AS9100 certified facility will continue to provide Raytheon with unique component solutions to meet their mission critical program needs. First and only parts meeting DSCC Drawing 03024 are especially suited for military, aerospace,medical and other critical applications where reliability is a paramount concern. SAN DIEGO, Calif. November 14, 2012 AEM, Inc. announces the immediate availability of its DSCC-approved line of ferrite chip beads designed for ultra-high-reliability applications. The HRB Series is the first and only line of ferrite beads manufactured with qualified materials and tested to compliance with DSCC drawing 03024, which prescribes the stringent physical, electrical and operational specifications for high-reliability ferrite chip shielding beads. The HRB Series devices are available in EIA 0603, 0805 and 1206 package sizes with current ratings from 0.2A to 4.0A. They have an operating temperature range of -55 to 125ºC, have tin/lead or gold, Ni-barrier solder-plated terminations to eliminate the possibility of tin whisker formation and to ensure reliable solder joints. Materials and processes are fully traceable and all parts are shipped with Group A/B test data supplied. Group C inspection is optional. The HRB Series exemplifies AEM's heritage of producing high-reliability components for the aerospace industry, said AEM's Marketing Director, Scott Sentz. AEM is able to offer value-added product processing and high-reliability test screening to the 03024 specification in order to meet our customers' unique and crucial program requirements. These additional benefits are not offered by other ferrite chip suppliers. SAN DIEGO, Calif., - AEM, Inc. announces a Hi-Rel qualified Sn / Pb (tin / lead) conversion process designed to mitigate the formation of tin whiskers in surface-mount components. The AEM process eliminates potential damage to sensitive electronic devices caused by conventional hot-solder dipping while ensuring that converted component terminations contain a minimum of 5% Pb as verified by SEM/EDS and XRF inspection methods. AEM's Sn/Pb conversion process is best suited for chip-scale passive components, including capacitors, inductors, resistors, ferrite chip beads, fuses, resistor arrays, capacitor arrays, bead arrays and many molded body passive and active surface-mount component types. This process includes 100 percent adherence to visual and mechanical inspections per applicable EIA guidelines, including sample solderability, leach resistance, terminal strength and destructive physical analysis (DPA) screening. "Components terminated entirely with a tin solder are susceptible to unpredictable whisker growth," said AEM Marketing Director, Scott Sentz. "And for ultra-high-reliability applications, RoHS-compliant devices must be converted back to tin/lead terminations. Components with external leads can be hot-solder-dipped, but this is not the case for chip-style components due to thermal shock concerns." While AEM's Sn/Pb conversion process is applicable to most multi-layer, chip-style components, other component types may be processed subject to an AEM pre-evaluation and component construction analysis, which is typically performed by AEM at no cost to the customer. Optional component up-screening (e.g., up-rating commercial components for use in military, aerospace or medical applications) and QCI can be performed by AEM's MIL-STD-202 complaint and AS9100 certified lab. Converted and up-screened components are warranted as AEM products. Military Embedded Systems Magazine editors have singled out AEM's Sn / Pb conversion process for recognition in its July/August 2011 Issue. SAN DIEGO, Calif., - AEM, Inc. is pleased to announce the editors of Military Embedded Systems have selected the company's Sn/Pb (tin/lead) conversion process as their Editor's Choice. The announcement was made in the July/August issue. AEM's hi-rel-qualified Sn/Pb (tin/lead) conversion process is designed to mitigate the formation of tin whiskers in surface-mount components. "We are very pleased to learn of this recognition by these respected journalists," said AEM's Marketing Director, Scott Sentz. 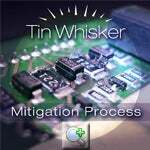 "Our tin/lead conversion process is helping our customers to reliably prepare chip-scale passive components, including capacitors, inductors, resistors, ferrite chip beads, fuses, resistor arrays, capacitor arrays, bead arrays and many molded body passive and active surface-mount component types for use in mission-critical and life-sustaining applications." SAN DIEGO, California, October 1, 2010 - AEM, Inc. announces that it is a recipient of a 2010 Boeing Gold Performance Excellence Award. AEM maintained a Gold composite performance rating for quality and delivery for the twelve month period from October 1, 2009 to September 20, 2010. "We are very pleased to be part of the Boeing team and to win this prestigious award again in 2010," said AEM's General Manager, Jeff Montgomery. "AEM will continue to strive to supply the highest quality and reliability components for Boeing's programs and meet Boeing's highest levels of customer service, quality, and delivery expectations. Our partnership with Boeing is highly important, and we look forward to continued mutual growth." AEM's MIL-STD-790 and AS9100 certified facilities have and will continue to provide Boeing with unique component solutions to meet mission critical program needs. SAN DIEGO, California, October 1, 2010 - AEM, Inc. announces that it is a recipient of a 2009 Boeing Gold Performance Excellence Award. AEM maintained a Gold composite performance rating for quality and delivery for the twelve month period from October 1, 2008 to September 20, 2009. "Boeing is an extremely important and key customer to AEM," said AEM's General Manager, Jeff Montgomery. "AEM continuously strives to meet Boeing's critical performance metrics. We are very pleased with this recognition and will continue to be committed to Boeing's quality and delivery expectations." 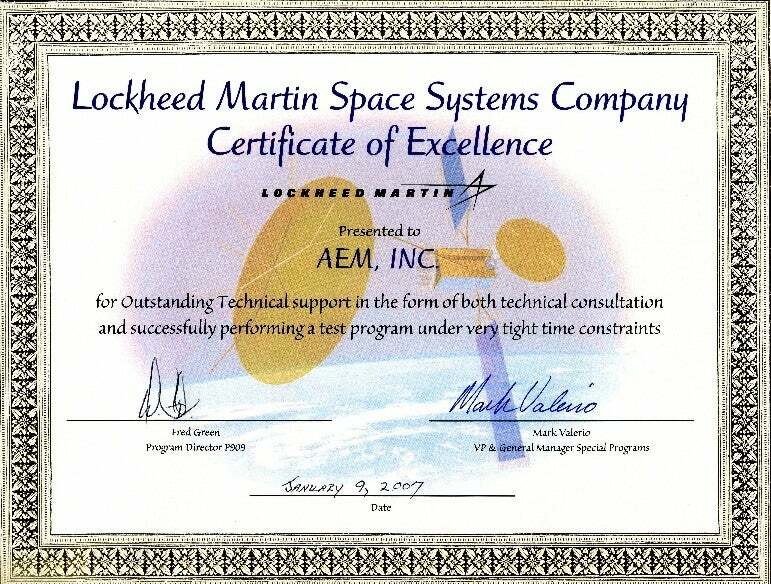 AEM receives "Certificate of Excellence" from Lockheed Martin Space Systems Company. 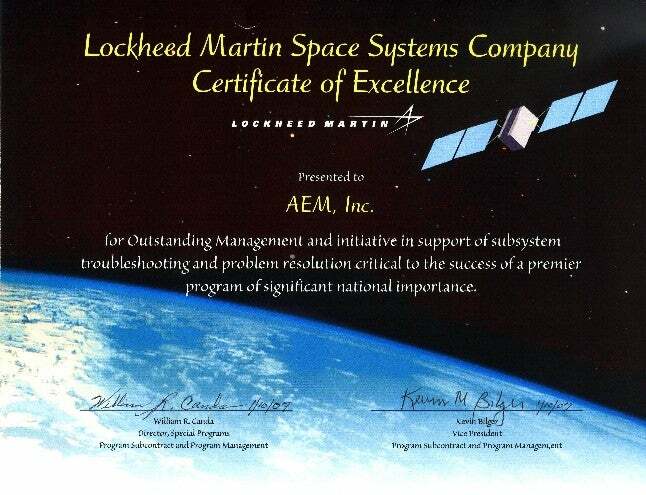 San Diego, CA - AEM today received two "Certificate of Excellence" awards from Lockheed Martin Space Systems Company for its outstanding technical support and outstanding management and initiative in support of subsystem troubleshooting and problem resolution critical to the success of a premier program of significant national importance. Lockheed Martin, a $39 billion company, is the world's #1 defense contractor. Space Systems Company, a major business area of Lockheed Martin, is a world leader in the design, production and integration of launch vehicles and systems, spacecraft for telecommunications, remote sensing and space science, as well as missile systems for defensive and strategic missions. San Diego, CA For the second year in a row, AEM, INC. received the prestigious "Gold" Supplier award for 2004 from Northrop Grumman Space Technology for consistently demonstrating excellence in product quality, delivery predictability, competitive pricing and other value-added services. Northrop Grumman Space Technology (NGST), a sector of Northrop Grumman Corporation (NYSE: NOC), a $29 billion global company, is a leader in the development of space, defense and electronics systems. 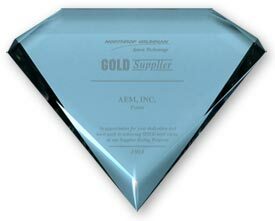 AEM was one of approximately 40 Gold Supplier companies selected from NGSTâ€™s thousands of vendors. 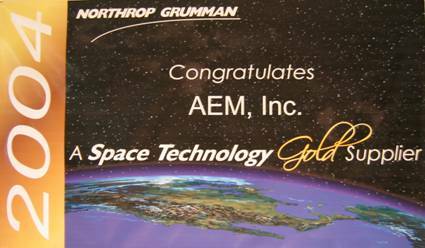 San Diego, CA, - AEM, INC., a leading manufacturer of solid body circuit protective components and inductive components, today received the "Gold" Supplier award for 2003 from Northrop Grumman Space Technology. 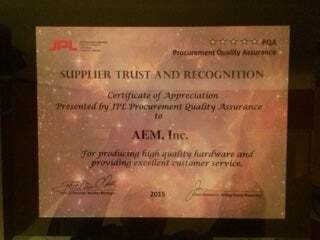 AEM was awarded this significant honor based on the companyâ€™s perfect quality rating, excellent delivery rating, and outstanding technical and application support during the past year. Northrop Grumman Space Technology (NGST), a sector of Northrop Grumman Corporation (NYSE: NOC), a $25 billion global company, is a leader in the development of space, defense and electronics systems. AEM was one of approximately 25 companies selected from over 1400 NGST suppliers. The award is determined by the NGST Suppliers Rating Program (SRP) and the Supplier Rating & Improvement Program (SRIIP), which use criteria that measure customer satisfaction, quality and delivery schedule performance.